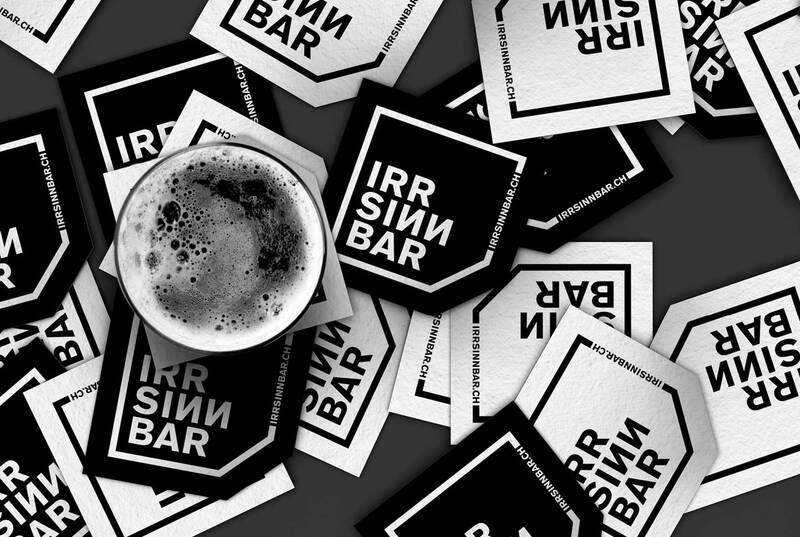 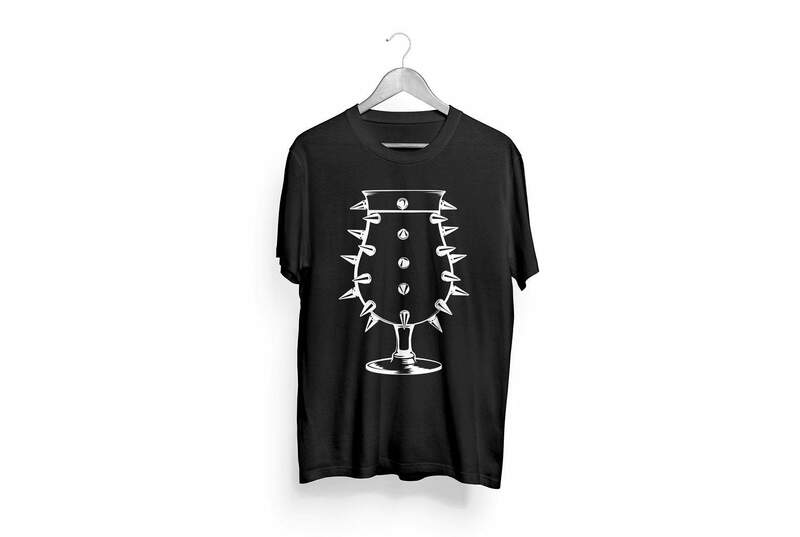 The «Irrsinn Bar» has been a popular meeting place for metal and punk lovers for years, but offers far more than the expected distorted guitar sounds and the usual assortment of alcohol. 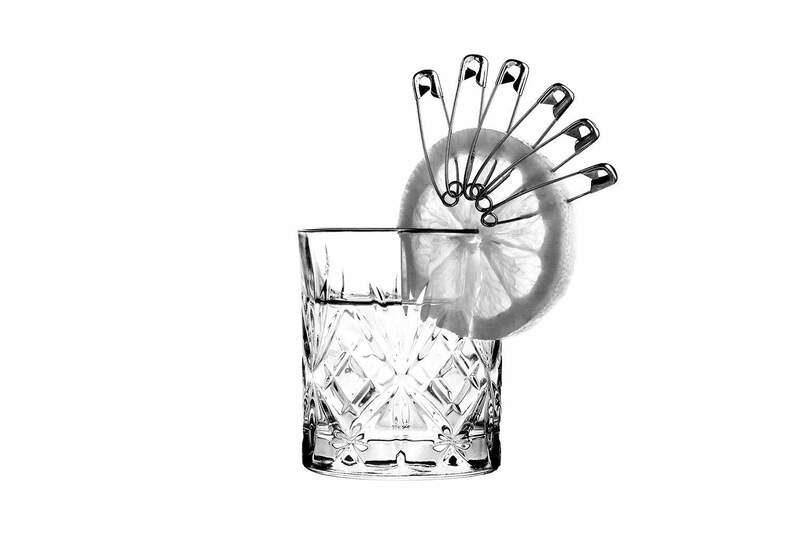 One can find the largest selection of spirits and a variety of cocktails in this successful bar in Basel, which are mixed, stirred and shaken with skill and knowledge. 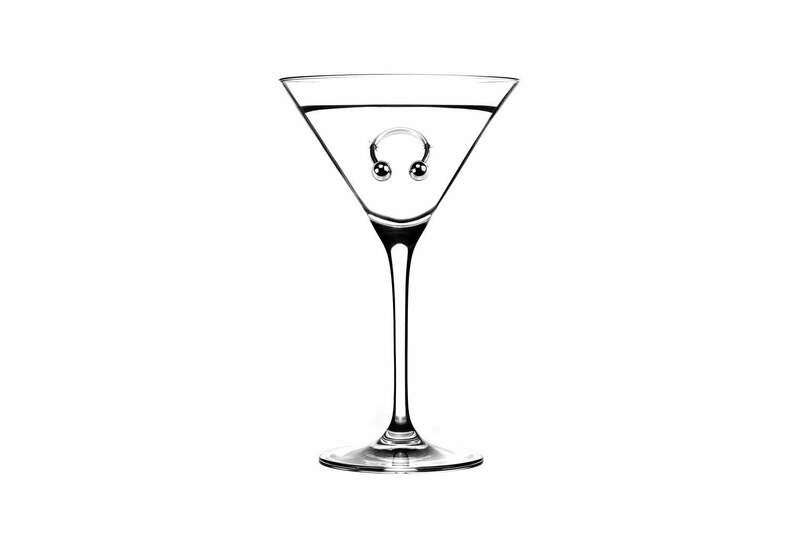 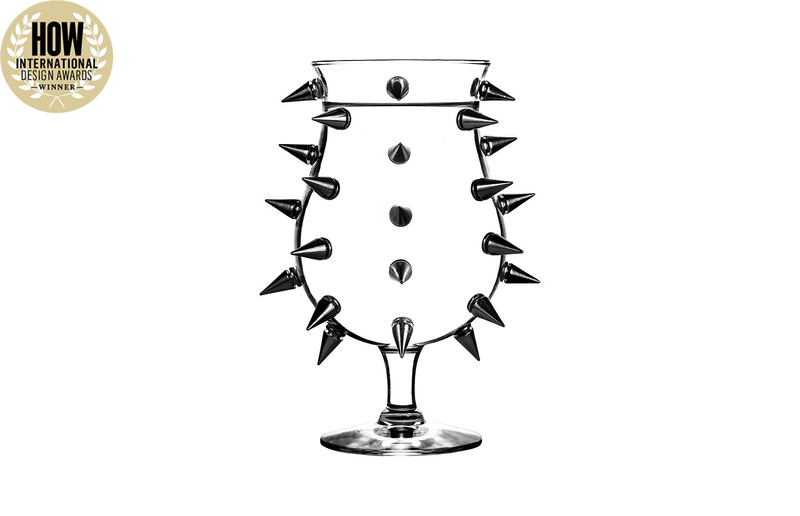 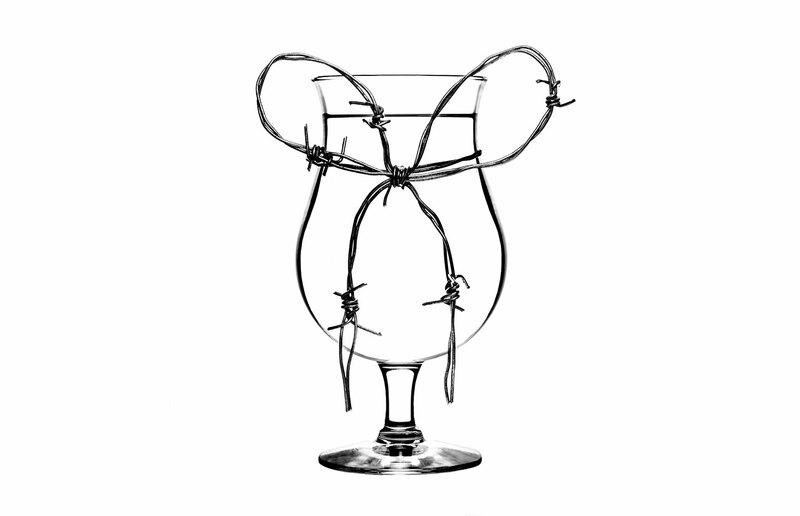 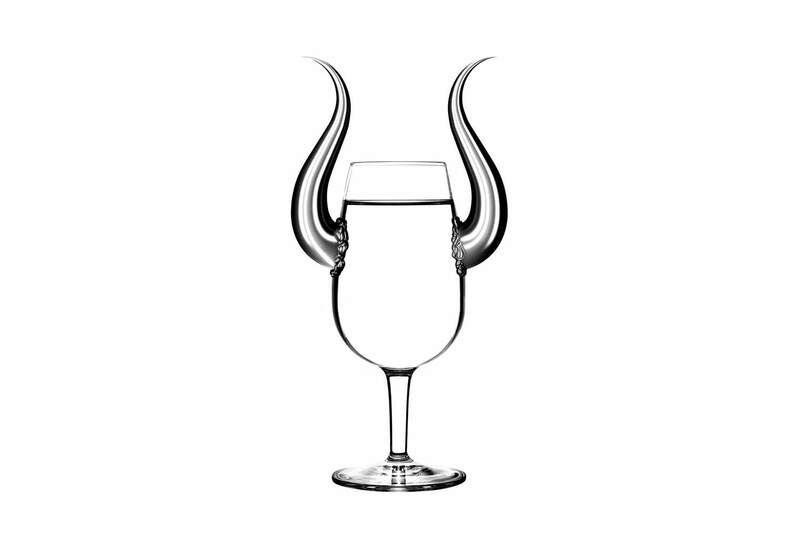 The owners have successfully proven, cocktail sipping can be appreciated and enjoyed without all the posh frills. 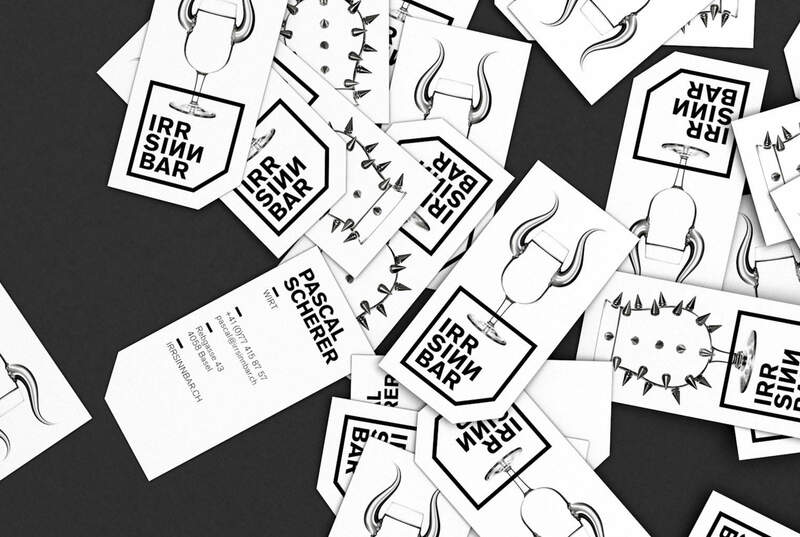 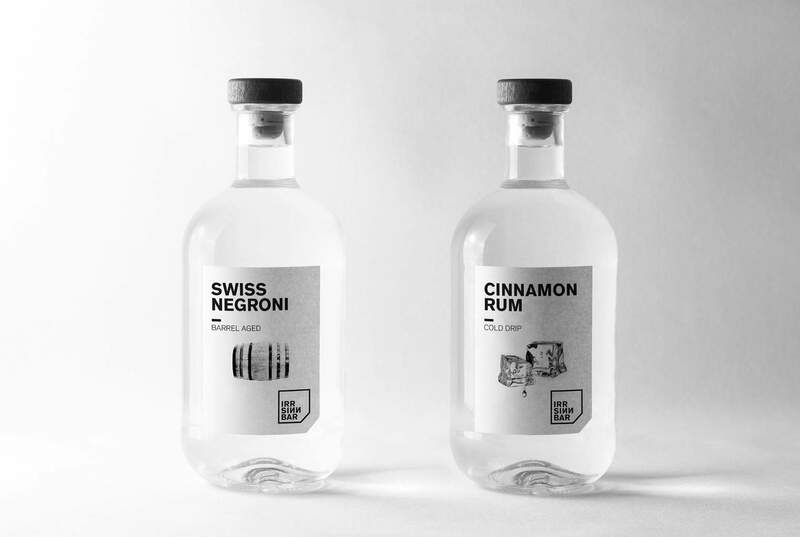 The brief: The extensive drink selection and expertise should be reflected by the new identity concept. 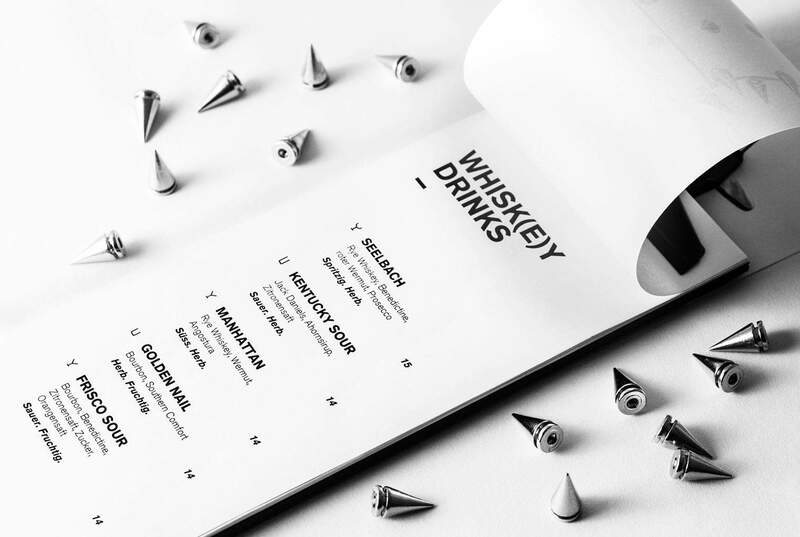 The new look has to be designed to appeal to both, the existing, but also to a new audience, means the new design is allowed to move away from the previous bar-image but had to retain the bar’s authenticity. 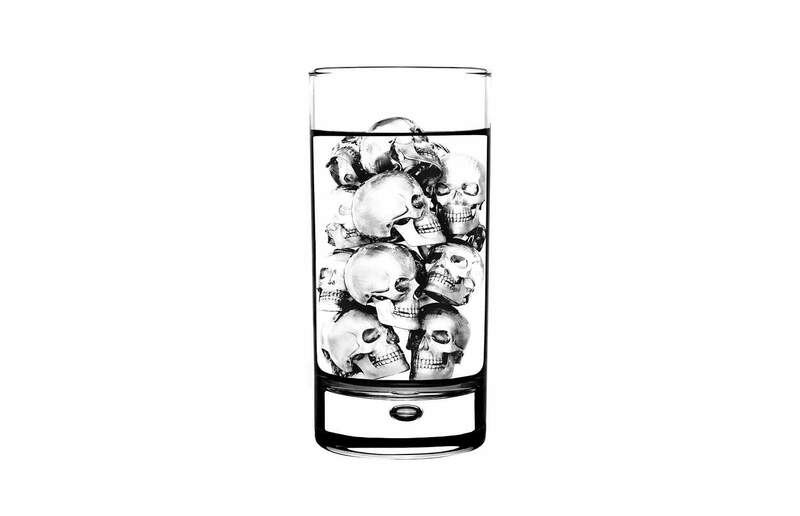 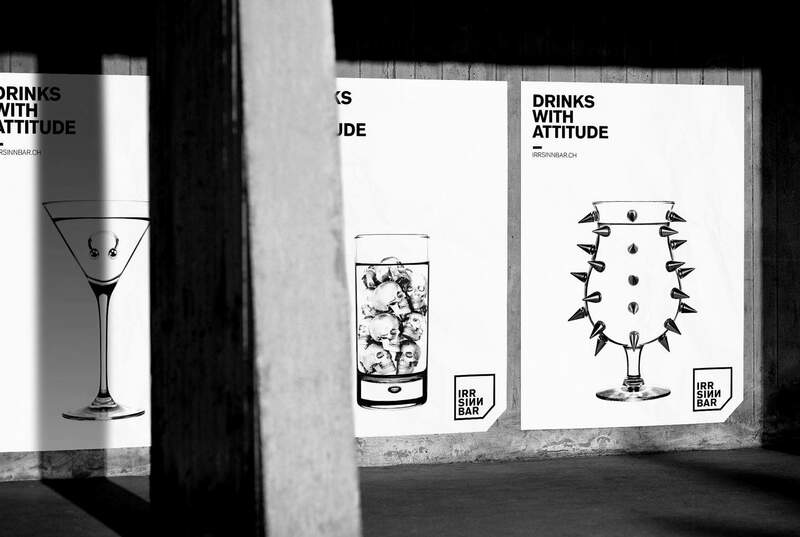 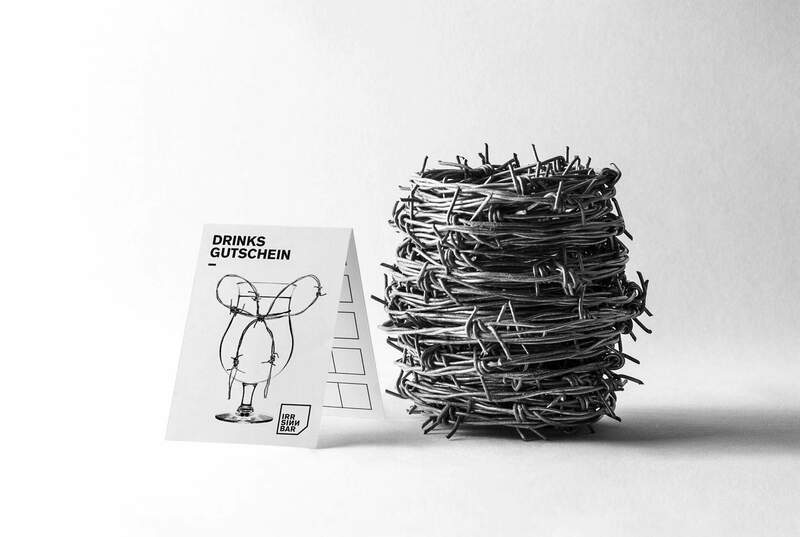 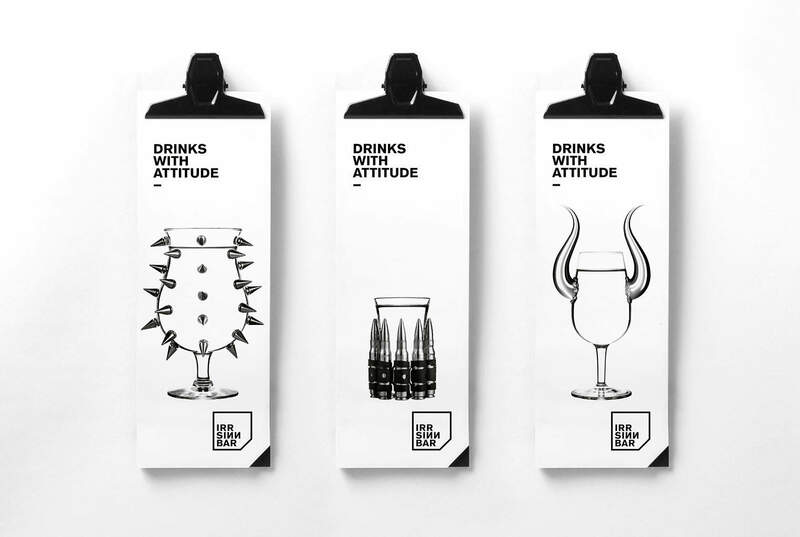 Our solution: «Drinks with Attitude» – imagery reflecting the bar, mixed with classic, open and simple black and white design elements were applied to posters, banners, flyers, merchandise, business cards, menu cards and of course the website.